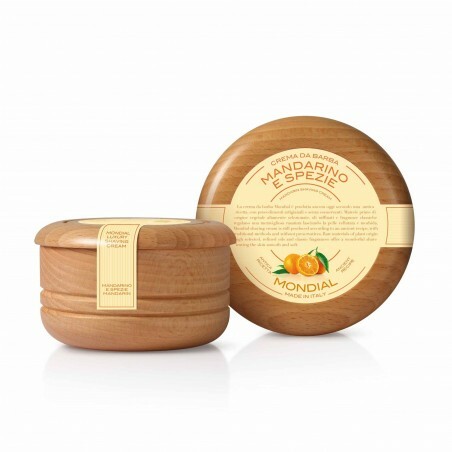 Mondial Mandarin & Spice Shaving Cream Wooden Bowl 140ml. Mandarin & Spice; harmony and passion. 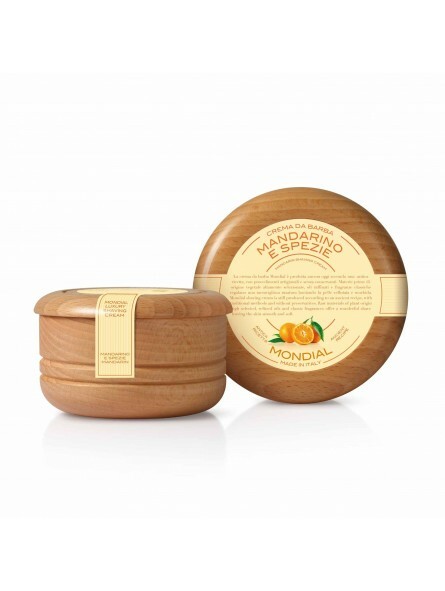 Volatile and sweet mandarin fragrances harmonize with the spiced ones of cinnamon and pepper. An excellent fragrance pyramid is created. Its intriguing and at the same time vital aroma conveys energy and passion. It is an exotic fragrance that gives you a deep pleasure making the shaving a simply wonderful experience. 140ml format with a luxury waterproof wooden bowl.